The Minister for European Affairs and Data Protection has defended the Office of the Data Protection Commissioner, saying it is completely independent of government. Minister Dara Murphy was responding to the news that Digital Rights Ireland is to take legal action against the Government, challenging whether the office is truly an independent data authority under EU law. DRI says a series of judgments from the EU’s top court have stressed the critical importance of a truly independent data protection authority. However, DRI says it will claim in court that Ireland has failed to properly implement EU data protection law or follow the requirements of the Charter of Fundamental Rights by failing to ensure the Irish ODPC is genuinely independent from government. Speaking to RTÉ News, Mr Murphy said he was aware of the impending case, but said it would be up to the courts to decide. He added that the ODPC and its functions are completely independent of government. He acknowledged that the ODPC is government funded, but said apart from that it is like many other agencies in the state that are independent of government. Mr Murphy also defended the public sector’s attitude to data protection, following criticism earlier today from Data Protection Commissioner, Helen Dixon. 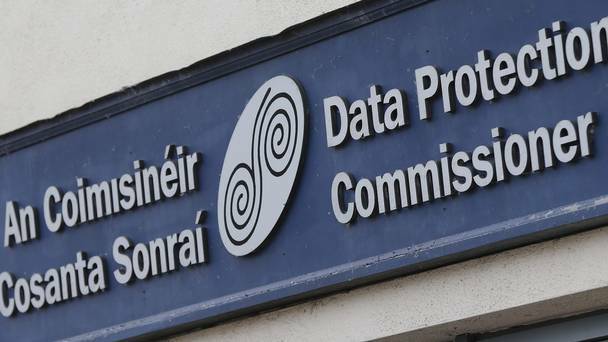 The minister said improvements in compliance with data protection rules are needed across society including Government departments and the public sector generally. But he said the new European General Data Protection Regulation will change and strengthen data protection rules. He added he had recently brought local authorities and semi-state companies together to impress upon them the strong obligations they have in this area. He said public bodies are engaging, although that doesn’t mean there is not more work to be done in the area. On the controversy around the Garda Síochána Ombudsman Commission’s accessing of journalists phone records, Mr Murphy said the Minister for Justice was right to commission an investigation into it, as it is absolutely essential that citizens have confidence in any state agency that processes or handles their data. Earlier, Ms Dixon criticised the level of compliance with data protection laws in the public sector. Ms Dixon released a statement setting out priorities for data protection rights and protocol in 2016 to mark the tenth annual Data Protection Day. In particular, she has called for improvements to the legislative process to ensure greater deliberation and scrutiny of issues that interfere with the fundamental right to data protection. The commissioner acknowledged data protection is not an absolute right and in certain circumstances, must yield to other competing rights. However, she also stated that if a public body is going to interfere with data protection rights, it must generally be provided for by law, be proportionate, necessary and made in the general interest or need to protect others rights. Ms Dixon concludes that consideration must be given to all of these matters when drafting legislation. Her pointed comments come as her office prepares to begin an audit of contentious powers used by several public bodies, including An Garda Síochána and GSOC, to access telephone records and other electronic messages. This entry was posted in Confidential Shredding, Corporate Social Responsibility, Data Destruction, Data Protection, Data Protection Day, Digital Data, Identity Theft, Off Site Shredding, Onsite Shredding, Paper Shredding, Product Destruction and tagged Compliance, Data Protection, Data Protection Commissioner, Data Security, EN 15713, Ms. Helen Dixon by Security in Shredding. Bookmark the permalink.